Golf course views from this 3 bedroom 2 bath residence.Enrich your life with the many ideal features you seek, you will find: volume ceilings, glass inset front & kitchen doors, impact glass all around, paved open patio and plantation shutters on all windows. Large interior living area with plenty of room for multiply conversational areas.Dining area with easy access to kitchen.Casual living and dining area with fantastic view.The kitchen has white cabinets, white counter tops, built-in desk and breakfast bar.The master bath has an updated vanity and step-in shower with glass doors.Dual walk-in closets also.The guest bedroom/den has built-in shelving and cabinets. The guest bedroom has two wall closets.Guest bath features an updated vanity & tub/shower combination. New Clubhouse 2017! Mandatory membership. Quail Ridge is a private, member-owned community and club. 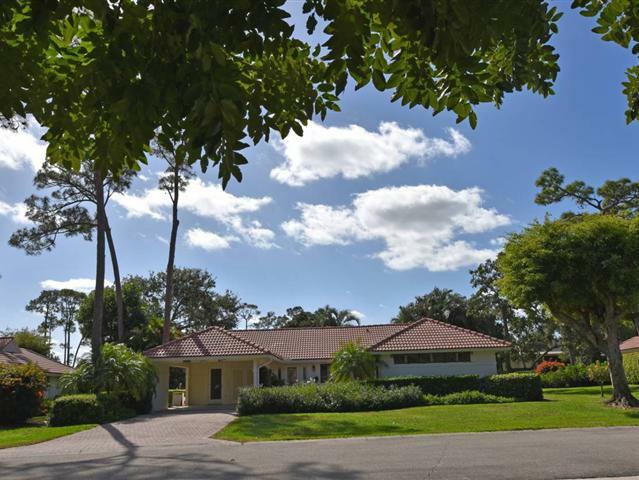 All residents are members of Quail Ridge Country Club and have a choice of either a golf or a social/tennis membership.